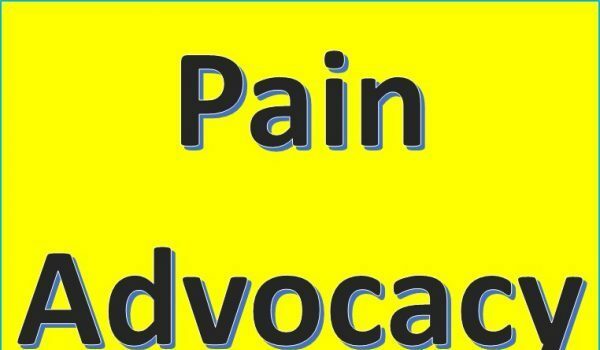 How Do I Advocate for Chronic Pain?- Pain News - Pain.dieutridau.com - All for Pain Relief ! People individually and collectively are beginning to advocate to the federal government about the need for the government (and its health care agencies) to expand its focus from a crackdown on opioid use to a broader embrace of addressing the myriad of issues facing the chronic pain community. The National Pain Report receives comments, emails and phone calls from people wondering how they can lend their voice. This week, we are seeing that people are taking action into their own hands. We heard from an old friend, a 68-year old California woman who is an Army vet who lost her leg and has been fighting the VA for her right to use marijuana to address her chronic pain. Judith Bruno’s fight has included correspondence with U.S. Senator Dianne Feinstein. We ran a story on a retired Michigan firefighter/paramedic whose pain medication has been reduced to a point where he thinks it’s actually hurting him. So Mike Young reached out to U.S. Senator Debbie Stabenow and his own firefighters union for help. Those are two examples of how to advocate. Now comes another, from a Tennessee woman who is the mother of a son who has suffered from intractable chronic pain. If you read the National Pain Report, you know Terri Lewis PhD. She is a public health expert who has focused her attention on the chronic pain issue where she believes the health care “system” has failed the patient. She and a group of Tennessee residents, all of whom are dealing with chronic pain care individually and personally, or indirectly as care partners, met with a staffer in Senator Lamar Alexander’s Nashville office. Among the illnesses experienced on a daily basis by the persons in attendance were fungal meningitis, arachnoiditis, reflex sympathetic dystrophy, fibromyalgia, CME (formerly known as chronic fatigue), and Ehlers-Danlos Syndrome. Each of the individuals present gave voice to their personal story, its’ impact on their loss of careers and personal circumstances, and the impact on their health care access. Each were active members of the social media sites Tennessee Pain Care for All and the Tennessee Fibromyalgia and Chronic Pain Network. Senator Alexander currently Chairs the Health, Education, Labor, and Pensions Committee of the Senate, where all health legislation is vetted. On the table for discussion was the impact of the delay associated with developing a unifying National Pain Strategy, the impact of the CDC guidelines on state regulations and physician access, the catastrophic consequences of Tennessee’s Chronic Pain law on patients with complex care needs, and the need for persons who are affected (consumers) to be present at the table and during any and all vetting processes. Lewis and the Tennessee delegation asked for Senator Alexander to actively lead and to consult regularly with his Tennessee constituents. She promises to keep us updated and we’ll pass it on when she does.